So we threw some road commuting tires on it and took it out for more than one road training ride. First out was going out on the bike path. I know what your thinking. Well its the shake down ride and its always best to take the bike out on this type of ride. Its a "get to know me" kida thing, like having coffee with someone your interested in to see if you want to take it to lunch then dinner etc....So the shake down ride was pretty normal with the usual adjsutment of seat height and handle bars etc.. But after that I got to get to know the Conquest pro a little better..
so the secodnn ride we actually took it out on the road to let the horses run a bit. The bike is a rocket on the road. Can we say light and stiff? With the bike being light and the over built carbon fiber frame set, everything that you put into the pedals will got right into forward motion. If you go on the flats you will find yourself wishing that you had a little more gearing in the top in but if you go out on some rollers you will be just fine. This bike is a lot of fun on the roads. Over all the bike is very responsive to forward input. However, The bike was a joy to handle. We did find that the steering was not razor sharp like we would see on a road bike. Taking the bike out to our favorite place here in Portland was a lot of fun. You see at the time it had not really rained that much and so there was not any mud to be found. Now, I want to make sure that everyone knows that before I go into the review. If you have read our reviews before one of the best places to take a cross bike out here is Powell Butte park. Its a large park with groomed trials for multi use. This means bike, hike and horses. Lately they have been doing a lot of work out there and it offers several different types of trails all in one place to put a cross bike through its paces. Out on the trail it was the same story as it was on the road except we don't have a engine so large that we wanted to put a 50T chain ring on the crank. The 40 that was on there was plenty and and we found we were using the entire cassette throughout the day. Redline really has the geometry dialed in and this bike is not only stable on the climbs and descents but also in the tight 180s that are out there. There is a section of the trail where there is a descent and there are like 6 180s back to back and at no time did I have any problem with over steering or that the bike was gong to get away from me. So we had a lot of fun out at Powell Butte park. On a side note the SRAM Hydraulic brakes are amazing and allow you to adjust your speed better on descents and in corners. I don't own a mountain bike so this was new to me having a totally hydraulic system vs. a cable actuated one. We got to race this bike on 3 different occasions in 3 different conditions. The first one was Alpenrose, the first race of the Cross Crusade. Alpenrose; Slick mud no rain: This was a no go as the tires that came with the bike were dry tires and we had not received the mud tires yet from Redline and the bike lasted all of 1 lap. I had to pit the bike because of the mud build up was nuts. To give you an idea on how quickly the course can change 40 min before my race the course was completely dry and the tires would have been great. But the sky opened up and in 10 minutes turned the course into a maze of greasy paths that only a mud tire could handle. PIR; Fast tacky dirt: This situation is where the bike shined. The night before it had rained so in the am the course was wet and a little muddy. But the sun came out and the course kept getting dryer and dryer as the day went on. 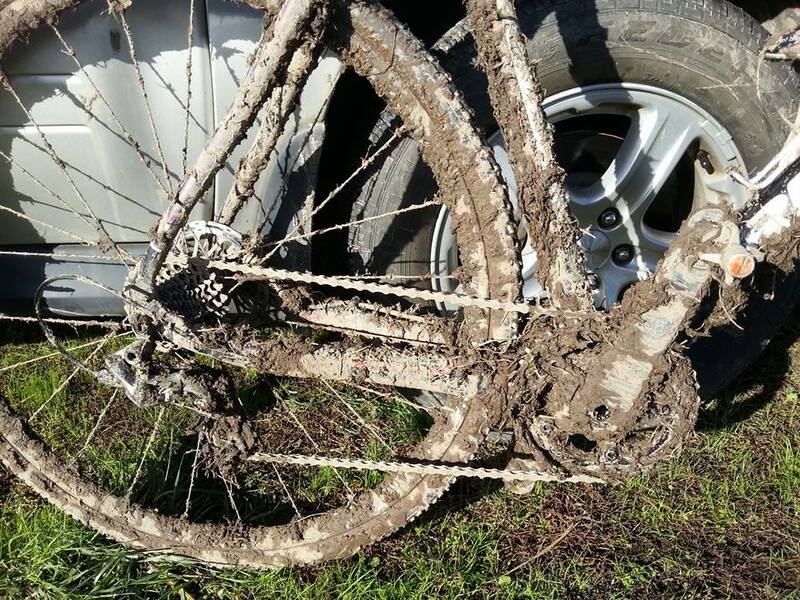 No real mud at all and with the bike being as stiff in all the right places it was more than up to the task. I had the mud tires by then BUT the tires were not wide at all. The side walls say 32 but they measured out to 30's. Check out the review of the IRC Serac CX tires here. the redline was more bike than motor in this situation. The only thing is the course was bumpy and I felt it and I think that was partly due to the narrow tires. But the conquest Pro ate the course up! I only with I had the engine to do it justice. 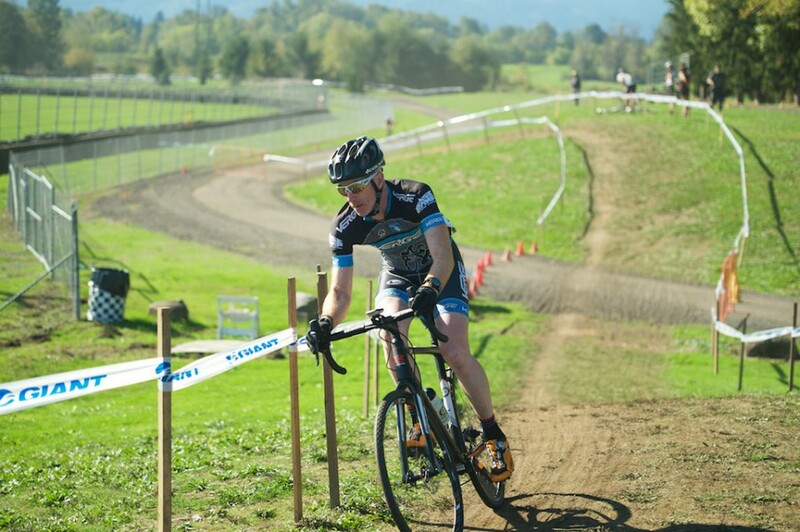 Washington County Fairgrounds;Mud and more mud: This was a mud fest on a grand scale as it had been raining all week long and the course got worse and worse. When I got there the course was grassy. By the time I raced not a blade was in sight. They were in every ones deraileurs and brakes. Even though we had mud tires on the bike it wasn't enough. The tires helped but the bottom bracket and the down tube brake hose really liked collecting the mud. We had a pit bike with different mud tires and that made all of the difference. 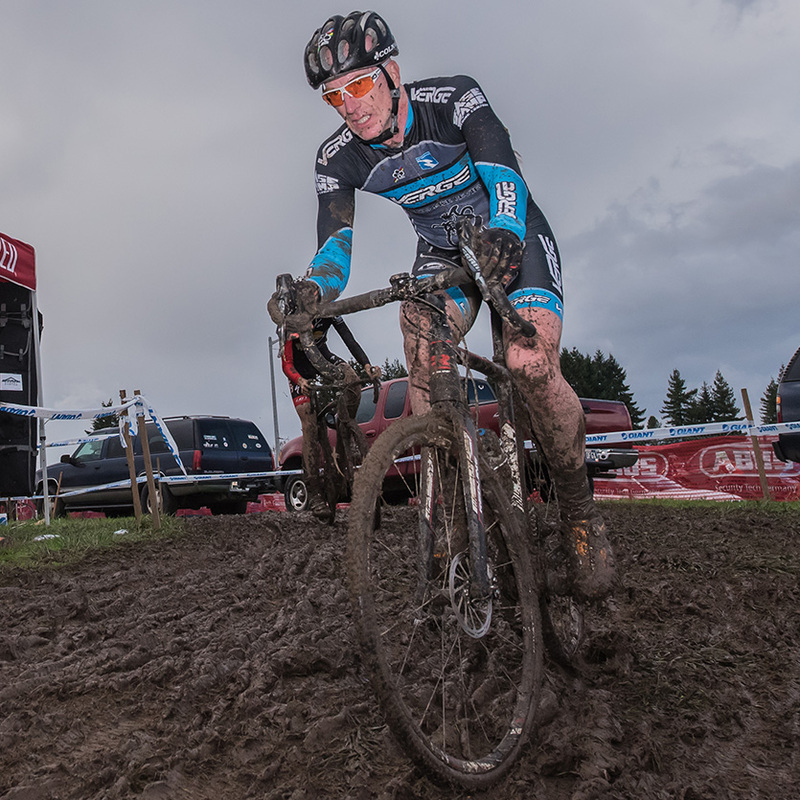 The SRAM hydraulic brakes were amazing in the mud! Check out the pics! Bottom line great dry bike but get this bike in the mud and you will find out that it does not shine as bright as you would hope. No off brand parts. Fizik bar stem and post SRAM 1X 10 group! Cable Routing The very first thing that we would do would be to either reroute the rear brake hose up on the top tube or make it internal. I love a clean looking bike and more importantly when I shoulder the bike I don't want cables or hoses in the way of my arm, catching on my cloths or catching mud and grass. Having the cables and hoses on the down tube is fine in the dry but they act like a cloths line in the wet. Grass gets in the mud and hangs off of anything on the bottom of the down tube. This is kind of a pet peve of mine with cross bikes. And while we are on this subject the hoses are held on with these plastic clips well several of the ones that held the hose in place on the down tube broke off and were lost. Why? Well when you have to pick up the bike and shoulder it makes the hoses move around and they pop off. So if you have to do this 2-3 times a lap you could be riding around with a hose flopping around. The clips work fine on the fork but not on the down tube. 15 mm Axle: For us the jury is still out on the 15 mm through axle fork. The front end was stiff as all get up and tracked exactly where I pointed it. But at this point I am going say that I would not want to attempt a wheel change with it. Every time I changed the tired from road to dirt it was a hassle. 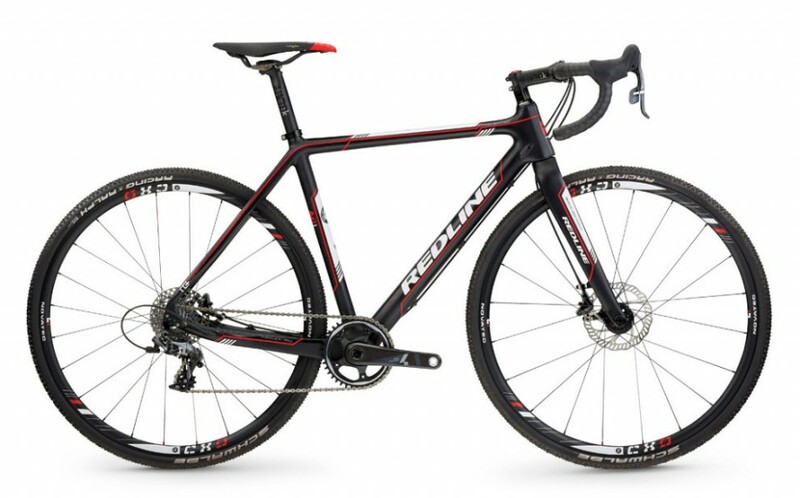 Clearance: Like in the previous Redline Review the 2015 conquest pro needs more mud clearance in the bottom bracket area and it seems that Redline did not think that this was important enough change this. This is in part of the bike having the BB30. A BB30 is larger than a standard bottom bracket and that is why you have to make that junction larger. Please give this bike the clearance it deserves. Now in this section I am only going to talk about what you can change on the bike to upgrade it. The reality is that you would only have to change one thing to race the bike and that would be the tires. If your season is mostly dry then you dont have to. Having a set or trick race wheels would be nice. Other than that the only thing that you can change would be bar/stem and post. You could go carbon but do you really need to? We dont thingk so. History: Redline has been in business since November 1, 1979. They started out making motorcycle swing arms. Then, they got into BMX in 1988 and Finally in 1986 the Conquest was born! It was a mountain bike though. However, in 1994 Redline debut the first redline cyclocross frame set made out of Easton tubing at Nationals in Seattle WA. There were only 20 around.. The rest is history! 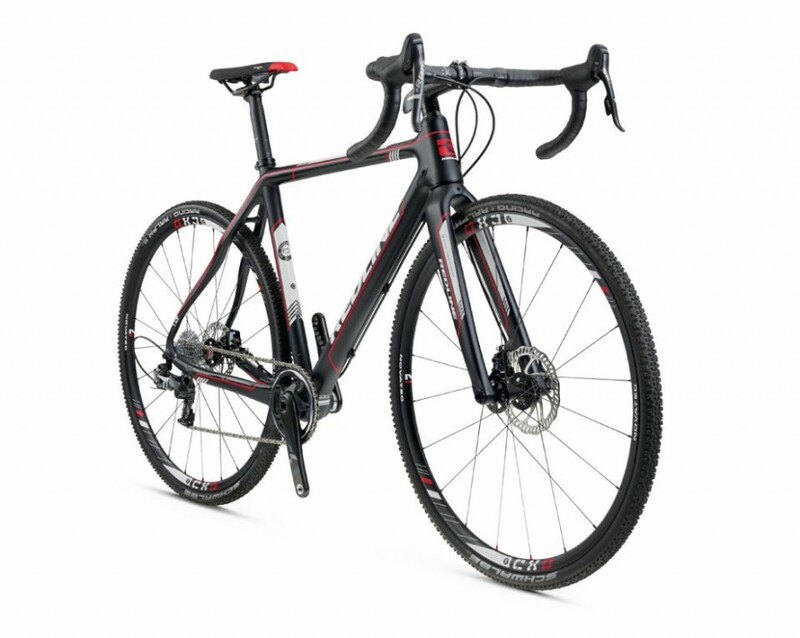 So Redline have been making cyclocross bikes for more than a couple of years. And they have won more than one of two national championships during that time. The Frame: The frame is the heart of the bike and its also the heart of this review. The Conquest pro is a great handling bike. Its responsive and not overly sensitive to your input. for the most part the frame is well done for most conditions. 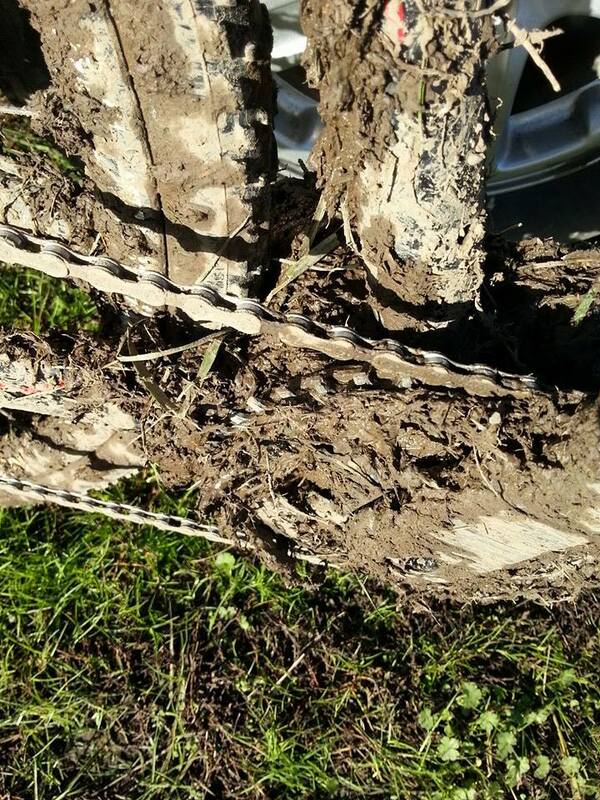 Like I said earlier there needs to be a change in the cable routing and a little more mud clearance in the bb area. Other wise I would not change a thing on it. The matt finish is not only tough looking but stood up the abuse that we gave it. so the looks will last on this. Moving to the front of the Conquest Pro, the fork is not only tough looking but uber stiff and with it all you have to do is point it in the direction that you wont to go and you are going to go there. So excellent job on the fork Redline. The Group: Great choice in the spec on this bike. The SRAM single set up works like a charm. The shifting is spot on and we never had a problem there. We did drop out chain once at The fairgrounds BUT It was really really muddy there and that was the only time. the bar stem and post is pretty cool. Most companies would go with a house brand knock off to save some pennies. 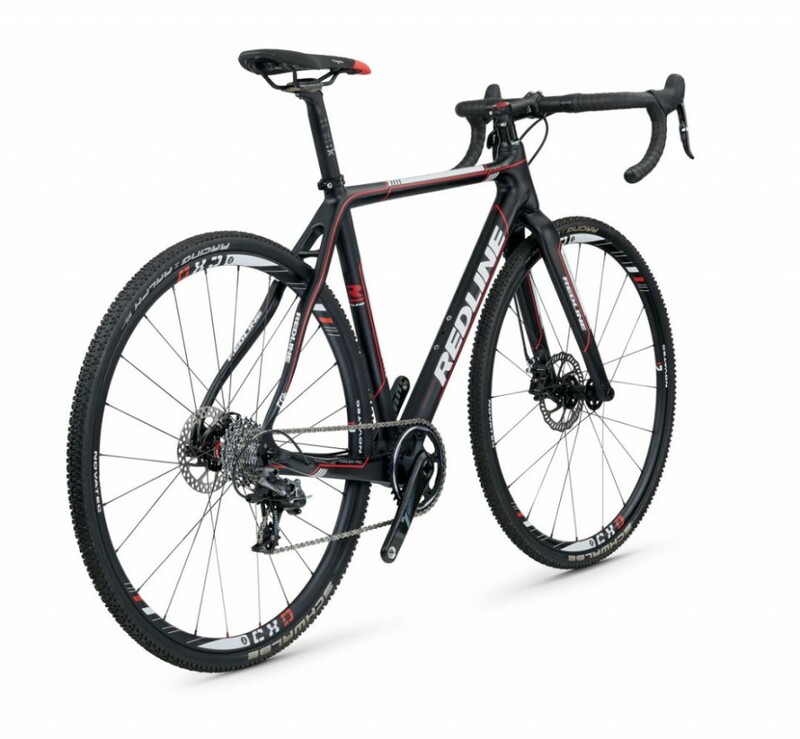 Redline thought that if your going to get a great bike that is what you should get. Not just a great frame and great drive train and some "OK" parts to finish it off. The Tires: Even though Schwalbe makes great tires this bike really should come with an all around tire or a mud tire. If you are like me I race in the mud you will be pulling them off and saving them for sunny dry days that you can use them. I say this all of the time you can race a mud tire in the dry but not a dry in the mud. 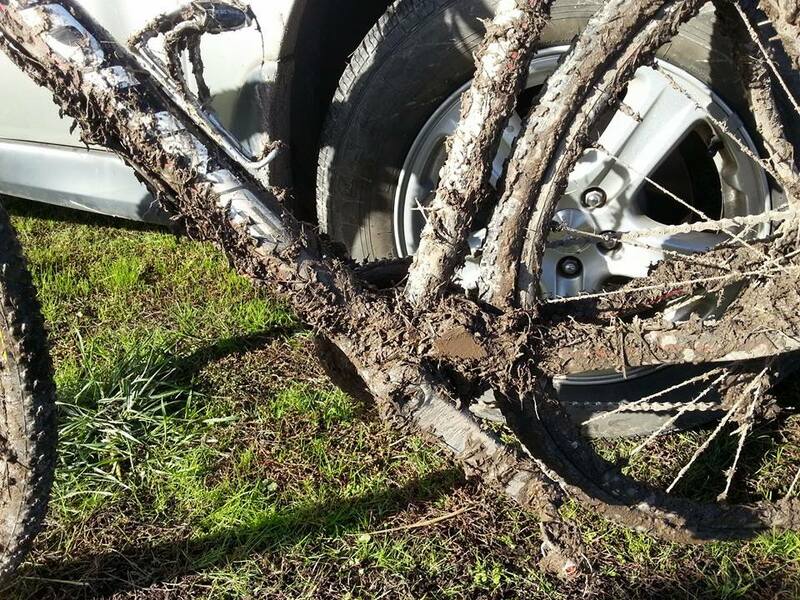 The Mud Clearance: First I would like to say that no bike is mud proof. All Cyclocross bikes collect the soft wet slimy stuff that we love to go play in come fall. With that said there are some things that can help or hinder the situation. I know that because this frame has the BB30 you have to make the bottom bracket size bigger and that means losing some room. Because the frame is so light and stiff I don't think that you will loose anything by adding a cm to the chain stays to give it a little more mud clearance. Over all the Redline is one fun bike to ride. It handles great its light and stiff. The group is spot on and dose not really need any changes except for tires but that is more of a geographical and or seasonal requirement. I'm looking forward to seeing the improvements that that will be making in the coming years.